Despite breaking global sales records in 2015, biopharmaceutical companies are witnessing a slowing in growth and are under increasing pressure from payers and competitors to reduce costs1. Compounding this, a recent study has found that the average cost of new drug and biologics development is now in excess of $2.5 billion, and growing at a rate of more than 8% per year2. Cost reduction initiatives in R&D organizations frequently focus on the potential benefits of process improvements such as enhanced monitoring and improved QC of raw materials but often overlook the impact of better data management. Those that do typically focus on achieving efficiency gains by transitioning from paper to electronic systems but while such a transition has been demonstrated to save time3, efficiency gains are only beneficial if any time saved is used productively. This whitepaper introduces the concept of the electronic Development Record (eDR) and how a holistic, platform approach to the capture, management and re-use of product and process data can propel the development process forwards, reduce costs, improve quality and enhance corporate image. The development of a novel therapeutic requires an ever diverse range of activities performed by specialist teams. Historically, many biopharmaceutical companies have devolved the selection of data management systems to each of the different subpopulations within the organization. While the department-centric approach can result in incremental efficiency gains within specific areas of the business, the potential for more impactful improvement lies at the interfaces between departments and are difficult to realize when data remains in silos. To gain a comprehensive understanding of the biopharmaceutical value chain, a more holistic view is required. Reagent preparation teams, Analytical Development, QC and other departments that support drug development should be seen as a critical part of the process rather than treated as ‘service’ groups. Similarly, the continued growth in outsourcing to strategic partners such as Contract Development and Manufacturing Organizations (CDMOs)4 means that rather than a linear flow of material and information, the process of concept to commercialization of a drug is best viewed as a network that extends beyond traditional organizational boundaries. While this results in an increasingly complex picture, the communication within and between organizations can be vastly simplified when all participants in the journey from early Development through to Clinical Manufacture use a common platform. Manual handoffs between groups are eliminated and requests (such as for testing or processing) are streamlined. By using an Integrated Development Platform, CDMOs can give biopharmaceutical companies access to high priority data sooner. Used effectively, data can be the organizational glue that integrates departments and organizations. This holistic approach is pivotal to the concept of an Integrated Development Platform and is by no means limited to cross-departmental thinking – it extends the traditional definition of what data actually is. Any improvements to data management practices shouldn’t be limited to samples and experimental results. Substantial improvements in product yield, purity and other quality characteristics require an understanding of the complex interaction of process conditions, input materials and reagents and equipment settings – something that is only possible to identify when all relevant data is accessible in one place. Hence, it is imperative to consider how details of process parameters and process inputs such as equipment, instruments and consumables are managed. Inventory is frequently dealt with in isolation but connecting details of the reagents (e.g. source, storage location, etc), equipment (e.g. calibration date, cleaning records, etc.) and materials to the experimental details is critical to gaining a more complete record of what has been done and enables more effective troubleshooting and root-cause analysis. By including equipment and reagent management within the same system as process information and results, there is no need for separate usage ‘log books’ – it becomes straightforward to see when a batch of material or instrument was used. The result is a complete electronic Development Record (eDR) that includes data from the execution of a process and everything connected to it. This is not just a large document. It is a searchable, context-rich ‘recipe’ integrating details of the materials, process parameters and results from a process development campaign. It is stored and maintained centrally and automatically updates as development progresses, thus enabling exploratory analyses of up-to-date information. Recently, the biopharmaceutical industry has increased its attention to quality and started to adopt the principles of quality by design (QbD). As emphasised by the ICH Q10 guidelines5, data is a key component of any quality system. When data is managed in silos, it is inevitable that transcription errors and inaccuracies will occur when moving data between systems, people and organizations. Silos also introduce redundancy – the same information is often stored in at least two separate places and, in cases where that information is conflicting, it is usually unclear which one is correct – there is no single point of truth. When data is spread across multiple systems, the ability to trace the source information is dramatically compromised and it is difficult to even identify, if and when, critical information is missing. This can result in lengthy investigations towards the end of the development process, often taking months to complete and requiring key experiments to be repeated to fill the gaps. Investigations divert the attention of development teams, reducing their capacity to work on other development projects resulting in a detrimental impact on the entire R&D pipeline. By having all data in one place, an Integrated Development Platform guarantees both data integrity, completeness and traceability. When defining what data to capture for a given experiment or process, it’s critical to understand how that data is going to be used. This should not be limited to the current and future needs of the team or department generating the data (e.g. for trending over time). Rather, consideration should be given to all potential consumers of data both from downstream teams and others in the wider organization. In addition, 3rd party organizations such as a CDMOs can also be consumers of data – for example, the information required for effective technology transfer. Data is only useful if it can be accessed securely by those that need it. The longer the latency between generating data and making it accessible, the less actionable it becomes. For example, if current data management practices result in a Formulations team having to wait until the end of study to pull together stability data, a trend might not be identified for weeks or even months after the fact, resulting in a lost opportunity to act. Effective re-use of data throughout the development cycle is only possible when a common data management system is underpinned by a well-defined data model. An Integrated Development Platform should leverage standards not only in terms of terminology and data structure but also standardized process descriptions, such as those developed by the Allotrope foundation6 and other similar industry initiatives. In the quest to capture comprehensive, high quality data it’s easy to forget one of the most important factors – the end users. If the entry of experimental data is onerous, the richness of information that is captured will decline. In dynamic development environments, it’s critical to balance a simple user experience with the ability to adapt to process changes with minimal configuration. When reviewing working practices, it’s helpful to consider if data can be captured automatically. For example, an Integrated Development Platform should enable users to scan the barcode of a reagent and automatically populate details such as the supplier, batch number and expiry date. Not only does this simplify things for the end user, it also eliminates errors in entering information and can automatically flag if the reagent is incorrect or out of date – all contributing to increased quality. Simplicity also extends to integration with the wider laboratory ecosystem. For example, integration of a new informatics solution with outdated equipment is costly and time consuming. So it’s important to consider the wider implications and assess whether updating equipment actually reduces the overall cost of deployment and integration. When designed and deployed effectively, the impact of an Integrated Development Platform is far reaching. Going beyond incremental improvements, it can transform the way a biopharmaceutical company operates and how it is perceived by others. Rather than saving an hour here and there, reducing cycle times and ultimately reducing the time between key milestones are the key to real transformation. The ‘patent clock’ starts ticking at the point of registration, so bringing forward commercialization has a significant impact on the value that can be realized post-launch. Many of the key milestones in the development process require the production of documentation e.g. technology transfer (both within the organization and to an external partner), Annual Product Review (APR) and ultimately the New Drug Application (NDA) or Biological License Application (BLA) regulatory submissions. A significant amount of the time to produce such documentation is devoted to the tasks of finding, reformatting, collating/combining and checking data, requiring significant time and input from a range of people across multiple organizational functions. Take the generation of a technology transfer dossier as an example. The typical turnaround time is 3-4 months, depending on the stage of transfer, with 25-30% of this duration spent on gathering and verifying data. The electronic Development Record (eDR) updates automatically as development progresses, making it a valuable source of information for regulatory submissions and enabling organizations to align comply with the FDA’s mandate that NDAs and BLAs must be submitted electronically by May 20177. The eDR reduces and even eliminates many of the data collation and checking activities. It not only saves effort, it can bring forward the delivery of a technology transfer dossier by at least three weeks. With a typical development phase (post early research and prior to clinical trials) accounting for three years and 20-25% of the associated costs of bringing a drug to market8, advancing a milestone and subsequently bringing time to market forward by a week can reduce out of pocket expenses by in excess of $6 million. In 2005 a survey of over 100 biopharmaceutical companies revealed that development scientists were spending several hours a week searching for data, and that 10-20% of the time the data they needed was not readily available9. Despite being published more than ten years ago, for many organizations the situation has not improved in the intervening time. Even though many organizations have begun to reduce their reliance on paper, data is still spread across different systems and applications. Hence, issues relating to missing data or lack of visibility into what has been done by others have still not been addressed. Because collating data is laborious, it is often only done after a project has completed, limiting the ability to act in a timely manner. An effective Integrated Development Platform tackles these issues head on. Through the generation of an electronic Development Record (eDR), context-rich information is centralized and accessible to the people that need it, when they need it. It becomes possible to perform interim analyses, for example, in stability studies, and identify trends and statistically relevant relationships earlier. Pilot Plant and Manufacturing Sciences teams can readily find out what was tried and tested earlier in development (such as which purification approaches were assessed and the range of process parameters that were tested) and understand how a process evolved. This means that the downstream teams can reduce the amount of retesting and re-work – again all saving valuable time and resource. An Integrated Development Platform can ensure consistency, making it simpler to compare the performance of a process as it scales to production for clinical supply. The usefulness of the eDR is not limited to the development project which it describes. The information within it represents valuable knowledge that can be applied to improvement initiatives. While an Integrated Development Platform doesn’t directly affect the duration of a given experiment or process step at run-time per se (e.g. it doesn’t make a synthesis step speed up or make cells grow faster), the trending analysis that it facilitates can identify optimization opportunities that lead to such reductions. An emerging trend is to apply Artificial Intelligence (AI) approaches, such as machine learning, to complex systems to try to identify relationships that are not obvious and would be difficult for development scientists to spot. However, this is only possible with linked and context rich data. Hence, an eDR can be the basis of real time analytics to understanding causality and the resulting knowledge can result in dramatic product and process improvements. Organizational learning is often focussed on the ability to learn from earlier stages of the development cycle. What is often overlooked is the ability for scientists in earlier stages of development to learn from what has and hasn’t worked during the scale-up process. This supports the concept of Developability and Manufacturability10 – leveraging historic knowledge to define the characteristics of the process and molecule that will result in successful scale-up and large scale production. When the same platform is used by both small molecule and large molecule development it fosters a wider exchange of ideas and experiences – it broadens the collective knowledge that process scientists can draw upon. Achieving milestones quicker and effective re-use of information provide an opportunity for meaningful cost reductions. Implementing an Integrated Development Platform can also reduce costs by centralizing information about instruments, equipment and consumables to facilitate a more efficient use of resources. For example, it becomes possible to identify which reagents have performed best in the past (and therefore avoid repeating the assessment of others) and then identify if the preferred reagent is already stocked by another group (and thus avoid over-ordering). The costs of fixed capital assets (such as reaction vessels) and reusable materials (such as purification resins) are spread over their lifetime, and their contribution to development costs, is typically calculated based on the projected number of cycles of utilization during their lifetime. For any given piece of equipment or material this can run into thousands of dollars per cycle so it is clearly important to manage and utilize such resources effectively. Problems that ultimately result in contamination or spoilage can dramatically reduce useful life of these assets. An Integrated Development Platform enables problems with consumables or equipment to be identified faster. Not only this, but the inherent traceability of information makes it simple to identify potential issues that may affect other ongoing experiments and pre-emptively correct or terminate them, saving both time and preventing excessive costs from being incurred unnecessarily. When relying on paper or file shares, experiments are often repeated needlessly, either because the scientist didn’t realize the work had been done before or because of deviations during experiment execution, resulting in wasted time and materials. A single repeated experiment can contribute between $1,500 and $20,000 to the cost of development, depending on the type, duration and scale of experiment. But focussing on a single experiment in isolation masks an even greater problem – in the accompanying whitepapers, ‘Agile Process Development’ and ‘Insight- Driven Formulations Development’ we delineate the true cost of unnecessarily repeating a process. In short, processes that run over several days, weeks or months, such as a bioreactor run or stability study ultimately generate tens or even hundreds of samples, each undergoing a range of tests. So the true cost of repeating such a process includes the auxiliary costs associated with all of this testing. For example, taking into consideration reagent and capital costs across both process and analytical activities and the resulting reduction in capacity of both the process development and testing organizations, an unnecessarily repeated 500L scale bioreactor run costs in excess of $60,000. An Integrated Development Platform gives visibility into what has been done before and can flag deviations at the point of process execution, thus reducing the number of repeated experiments and processes and saving the organization hundreds of thousands of dollars over the course of a development program. Due to rising development costs, a growing number of biopharmaceutical companies are focussing on Drug Repurposing, Repositioning and Rescue (DRPx) as a means to extract value from their R&D investments11. The context-rich information within the eDR can be used to inform the strategy for a DRPx initiative and enables organizations to quickly identify where to focus further investigation. When recording information on a paper form, it is not always possible to identify when a value is outside of an acceptable range, leading to failed experiments or out of specification material to go undetected. An Integrated Development Platform can be used to deploy electronic procedures that are more rigorous than their paper equivalents. This ensures the data recorded is complete, compliant and of higher quality from the outset. By working in collaboration with quality teams, it is possible to identify the most frequent quality issues associated with data capture and analysis. With an Integrated Development Platform errors can be engineered out of a workflow, either through prevention or, where prevention is not possible, by unambiguously alerting a user or reviewer to a deviation. This also facilitates an ‘audit by exception’ approach, which has been demonstrated to significantly reduce review times12 and free up QA resources to focus on critical issues. Through an iterative process, quality can be built into every process and a majority of common issues can be eliminated from any development workflow, promoting a ‘right first time’ approach. As the information managed by an Integrated Development Platform evolves, it aids troubleshooting during the development and scale-up process and enables pre-emptive corrective action to be taken. It also facilitates the identification, validation and monitoring of critical process parameters (CPP) and critical quality attributes (CQA). In addition, CPPs and CQAs can be tracked across multiple process runs enabling acceptable ranges to be refined based on experience and the cause of deviations to be characterized more readily. This supports a continuous quality improvement approach. Modern drug development relies on a network of collaborations, not only within a biopharmaceutical organization (e.g. between formulations and testing teams) but also with strategic partners (e.g. between a pharma and CDMO) and regulatory bodies. Historically, the preparation for meetings between biopharmaceutical organizations and their partners or ahead of a regulatory pre-approval inspection involved many people scrambling to find the relevant information and filling a meeting room with documents, binders and notebooks. An Integrated Development Platform makes this a thing of the past and enables an open exchange of information and ideas. The resulting increase in transparency engenders greater trust and enables all types of collaborative partnerships to thrive. Successful partnerships often result in more formal relationships. In both 2015 and 2014 biopharmaceutical industry mergers and acquisitions totalled over US$200 billion13. However, companies looking to boost their pipelines through acquisition are increasingly aware of the negative impact the process of integrating a new organization can have on their business. Integrating and leveraging the data from a newly acquired company can be a barrier to progress, and poor data management practices can be off-putting for potential acquirers. The robust data management practices at the heart of an Integrated Development Platform can help biopharmaceutical companies project a more professional image to suitors by having their ‘house in order’. Data management strategies focussed on the needs of individual departments can yield incremental improvements for biopharmaceutical organizations. 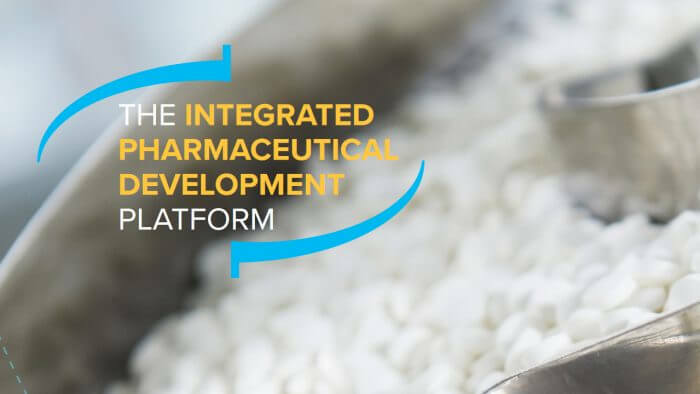 An Integrated Development Platform, built on industry best practices, is the basis of a truly transformative approach to address the financial, productivity and innovation challenges faced by the biopharmaceutical industry. IDBS understands the challenges faced by biopharmaceutical organizations. Our Integrated Development Platform is the culmination of almost 30 years of experience and knowledge of capturing and managing biopharmaceutical data. Global pharmaceutical companies, emerging biotechs and leading CDMOs have partnered with IDBS and have leveraged our unparalleled know-how to transform their Development operations. To learn how we can help transform your business too, conect with one of our experts today. 2 Dimasi, J. A., Grabowski, H. G., & Hansen, R. W. (2016). Innovation in the pharmaceutical industry: New estimates of R&D costs. the pharmaceutical industry’s grand challenge. Nature Reviews Drug Discovery 2010; 9(3):203–214. 9 Morris K, Venugopal S, Eckstut M. Making the most of drug development data. PharmaManufacturing 2005 Nov 30;4(10):16-23. 11 Naylor, S,Kauppi, DM and Schonfeld, JM. Therapeutic Drug Repurposing, Repositioning and Rescue. Drug Discovery World Spring 2015; 57-72.